Mike lost his mother as a child, found her again at the age of 27, then lost her as a consequence of his addiction to cocaine. Today, he’s just over a year sober. And the best part of Mike’s transformation? He has his mom back. 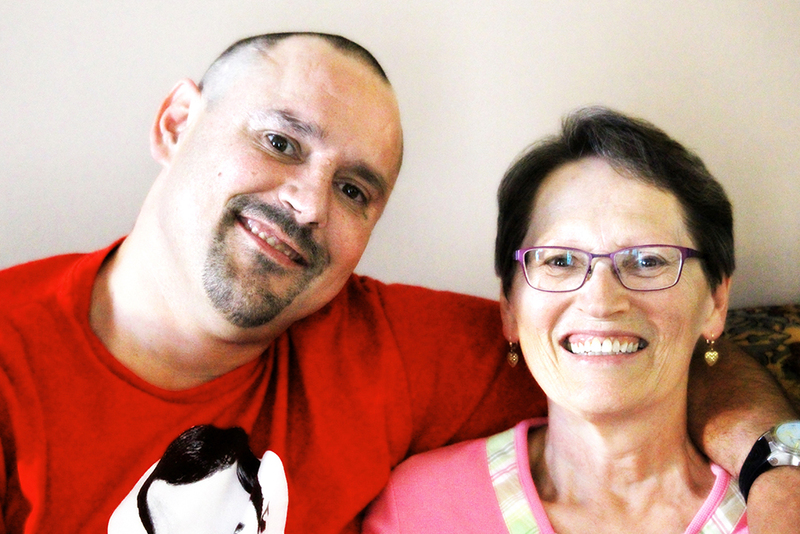 Mike grew up on his father’s family farm near Lloydminster, never knowing what happened to his mother. His dad was away for long periods, building highways and Mike had a rough, troubled childhood, shipped from one family to another, until the unthinkable happened: his grandfather, grandmother and father all passed away in the space of a few months. He ached for a mother he wasn’t sure was alive. Her name was never mentioned by his father’s family. “When I asked questions, there were no answers,” he recalls. Working as a roofer, Mike’s wages all went to drugs. He was homeless for 15 years, sleeping in stairwells, tents and trucks. 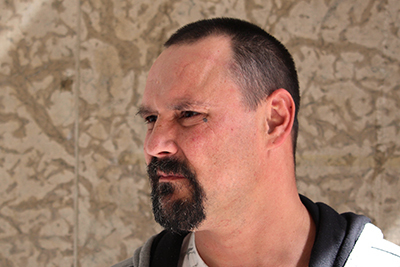 He slept on the train tracks behind the Palliser Hotel on a night when the temperature dipped to minus 49 degrees. “The world just stopped,” he says of that moment, 16 years ago. “I put my tools down, left work and went to my skid row room.” His hands shaking, he picked up the phone and called his mother, Pat, collect. He discovered she had been forced to give him up as a teenager, with little education and no way to support her child. Their reunion took place soon after, with his mother, stepfather and grandparents driving from Calgary to meet him. Mike went to prison three times for trafficking drugs. Brief periods of sobriety would lead to relapse when he saw his old crowd. His life was a downhill spiral until, desperate, he found treatment programs through Alpha House and Fresh Start. After graduating from treatment, he relapsed again. “I was sober for 10 months. My thinking told me I could snort a few lines [of coke] this once. But I couldn’t stop. Mike entered the program in June, 2014. His journey through the program has not been easy; twice he missed drug tests, going back to prison for short periods. “Sobriety is pretty hard, especially if all you’ve ever done is always use,” he says. Mike is graduating June 23. He has plans: he has “the best job ever,” his first driver’s license, and his first car.